We do energy audits on homes. We use very specific and scientific data to model, and evaluate a home for ways to improve its energy efficiency. All of the work we do is audited by New York State’s Building Performance Institute. I’m hiring a person to find and set appointments for us. The goal is to find a way to bring in ten leads per week. Some ways that you might do that is to set up information booths at community events and home show type venues. You could call referrals from existing clients, social media, or even knock on doors around a jobsite. 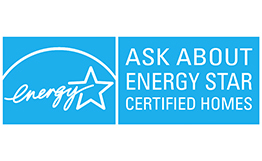 You’ll encourage people to fill out applications for state grant assistance money, and then follow up as appropriate with an end goal to set an appointment for an energy auditor to assess your client’s home. You should expect to spend half of your time in the office working the phones, filling out spreadsheets and composing emails. The other half of your time is out and about shaking trees and making it rain. Starting salary $12.00 – $14.00/hr plus bonus on completed applications. Approx $16.00 – $20.00 with bonus. Full benefits include health care, vacation time, sick time, retirement plan, and life insurance.